The old and the new. The past and the future? 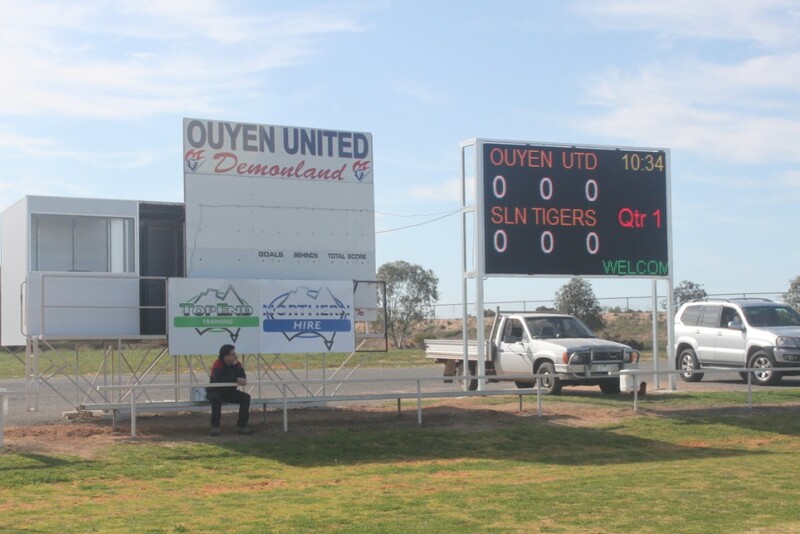 An anonymous scoreboard enthusiast ponders the changing times at Ouyen. What will become of the manual scoreboard, and the scoreboard masters of the Mallee, Geoff Amos and Daniel Floyd? What will become of the newly-installed all-weather perspex office? Who will know that SNL Tigers means Sea Lake Nandaly Tigers?